This dish from Jenny Flynn, head chef at Faithlegg House Hotel was awarded AA Delicious Dish of the Year at the annual AA Hospitality Awards 2015. An exciting new category introduced to this year’s awards, Jenny is the first ever winner of the AA Delicous Dish of the Year following a public vote and has certainly set the bar high with her winning recipe of scallops with black pudding, apple and locally brewed cider. A story on a plate, this recipe features some amazing locally sourced produce from suppliers Faithlegg’s doorstep: Country Style Black Pudding, Flanagan’s Scallop’s and Bulmer’s Cider. The dressing really makes this dish, the sweetness of the scallop’s works well with the cider, a classic combination. A superb example of a classical sauvignon blanc from the Loire. It has a beautiful nose, clean mineral, light floral touches and hints of apple & grapes. The palate is delicious, clean crisp, mineral with lovely fresh green fruits. A lovely wine with great structure, gentle elegance and a refreshing finish. This wine will pair beautifully with the scallops, the apple notes will work well with the light cider tones from the sauce whilst the structure will balance with the pudding. 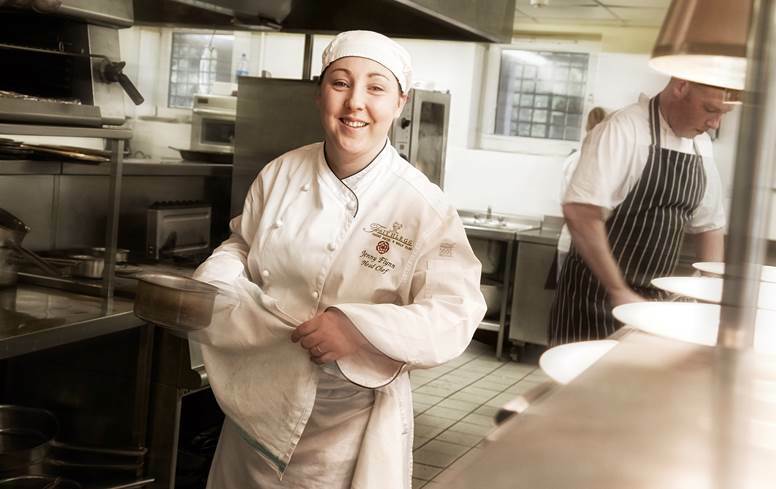 Jenny Flynn is head chef at Faithlegg House Hotel & Golf Resort in Waterford. Faithlegg House Hotel is an 18th century mansion which has been beautifully restored to form the centre piece of a superb four star hotel and golf course. Dining at Faithlegg House Hotel is a special experience, and the hotel has held an AA Rosette for the past number of years. For more information visit www.faithlegg.com or call +353 (0)51 382000.